Hey there! 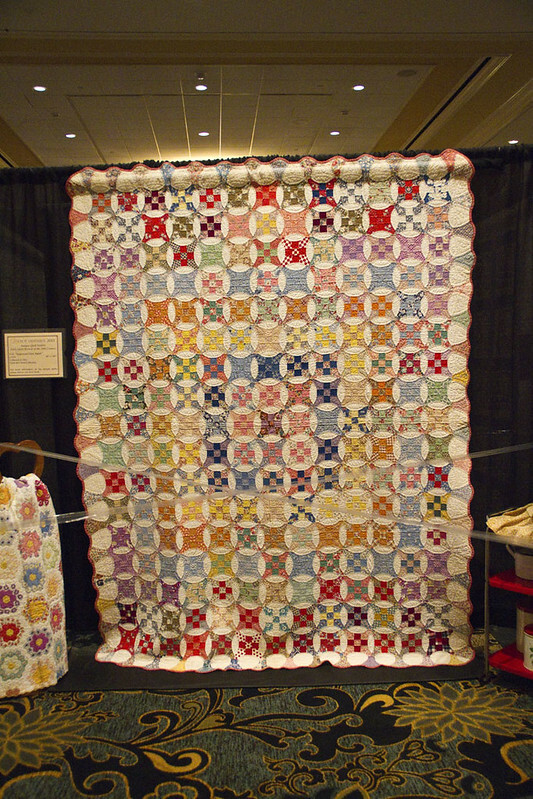 I’m so excited that Pat Sloan has asked me to be on the American Patchwork & Quilting Podcast next week! You can listen to it live this Monday, August 12th, at 4:00, or download the podcast at your convenience any time after that. We’re going to chat about my fabric, the DC Modern Quilt Guild, English Paper Piecing, and who knows what else. I was lucky enough to meet Pat in person a few months ago and she’s really a fun lady. Check it out! 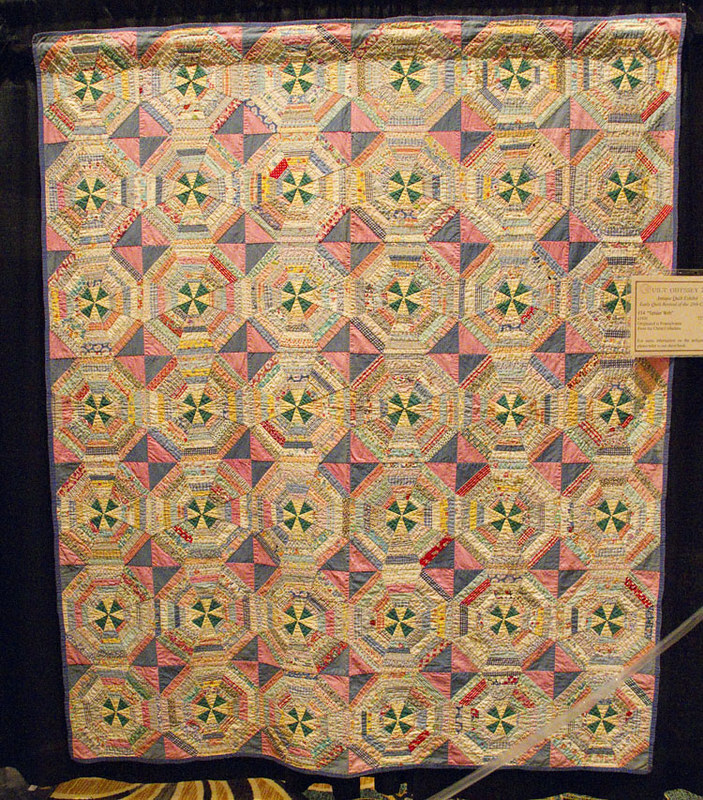 These are my favorites from the collection of 1930s quilts on display this year at the Quilt Odyssey in Hershey, PA. My extended family and I have been meeting at that show for years now and it’s always a great time! 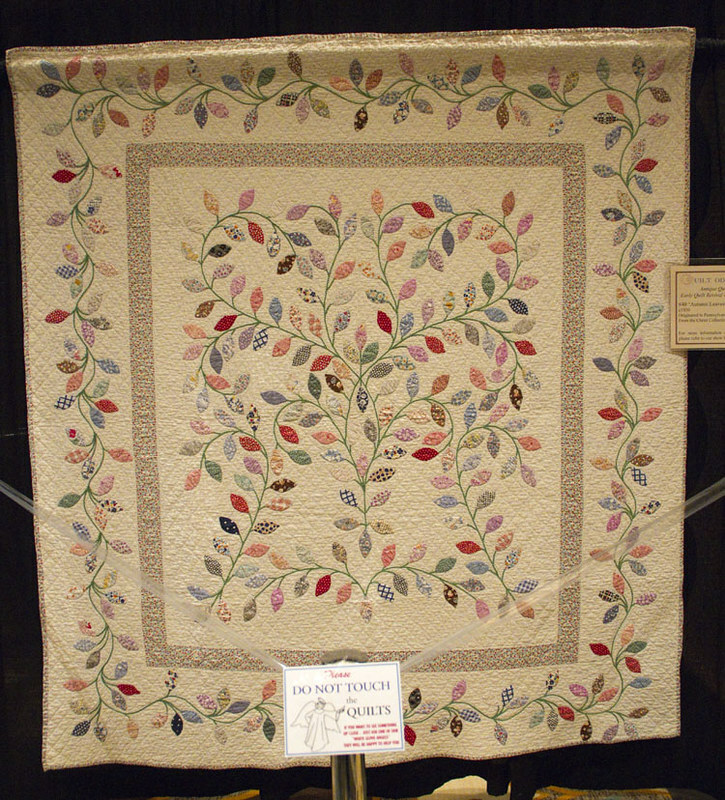 These kinds of quilts always inspire me to persevere. 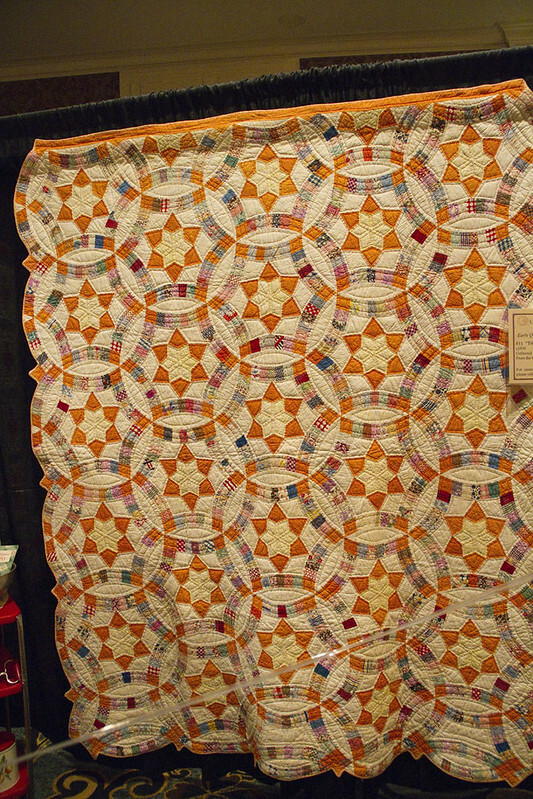 Isn’t the star quilt amazing? Made from humble fabrics, what stops you in your tracks is just imagining how long it must have taken. This one from a distance looked like the selvage quilts that are so popular right now. This one, the triple wedding ring, I want to make that for myself. I could look at it all day! 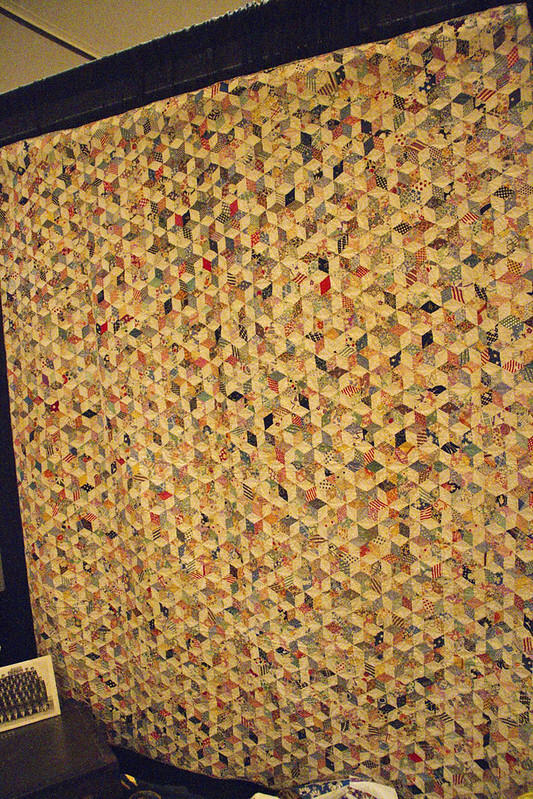 Looking forward to your interview Monday and these vintage 1930s quilts are spectacular. 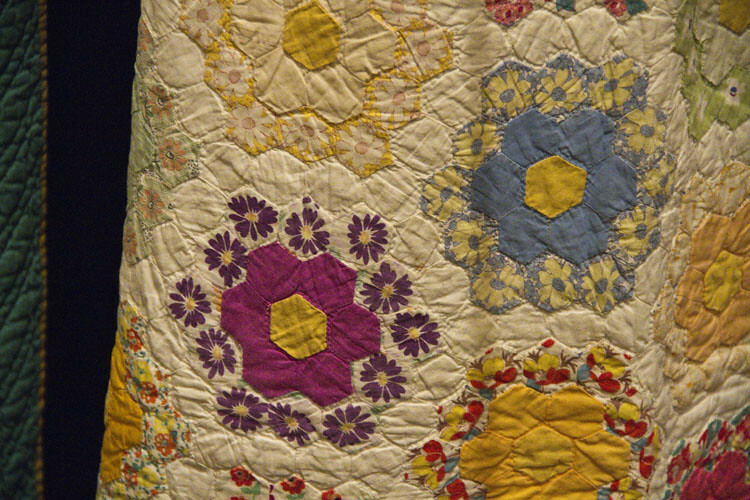 I loved the close up of the hexagons “grandmother’s garden” quilt details showing that the quilter used fussy cut flowers from various prints to ring her hexagons and solids to make them stand out. It is very inspiring to see those details. Thanks for sharing your Hershey show pictures. Fun – I’ll definitely be listening. Congratulations on your radio feature! I had a great time listening. And I was so happy to hear you mention ladder stitching for English paper piecing–I thought I was the only one who did that!